So, humans have finally figured out how to build a solar-system crossing ship. On the way to the first exo-planet to be colonized, an accident happens, and a few people wind up floating through space, injured. Aliens find the person(s) individually let’s call each person X. X is still alive, and there are no problems relating to nutrition via another bit I don’t have time to explain. Would the aliens be able to fix X’s injuries? What if X was a child? Or a woman on her period? for the purposes of this question my aliens are humanoid and carbon-based. X is familiar with the procedure for first contact, and can successfully initiate it. The aliens want to help X.
there are no human remains accessible. aliens are humanoid only in that they are bipedal, have two genders, have four limbs, and hair on their heads. They do not however have hair anywhere else, would this lead to confusion? the people are basically loose in spacesuits. So far all the answers have been in the positive. And I concur with them in so far as that a sufficiently advanced alien technology, coupled with a similar biology, anatomy and physiology, coupled with a desire to help might could lead to a successful repair of a relatively trivial injury. An interstellar boo-boo. NOT A SNOWBALL'S CHANCE IN A RELATIVELY COOL NEIGHBOURHOOD IN HELL!! First is time. Life threatening injuries aren't something that you can just wait around for help to arrive. And frankly, your story will be boring as hell if the injuries sustained are anything other than critical! Consider how many people die in auto accidents because the ambulance crew is far away and the hospital is further away. Your characters are floating free in space. Emergency services are light years away. That means they were injured some relatively long while ago. Even if the aliens are lucky enough to discover three or four itsy-bitsy specks of living space debris in the vastness between the stars, it's still going to take a while to get the survivors into the space ship. It's going to take time to figure out how to open the capsule. It's going to take time to figure out how to undo the safety straps. Once they recognise that the occupants are even alive (heck, that they're even people! ), they may not immediately recognise that there even are injuries, and let along how severe they are. Even with a medic standing by, they will still require a few minutes extract the occupants from the capsule and several more minutes to transport them to the hospital wing. Once in the hospital wing, the nurses and doctors are going to require time to even recognise that the survivors are injured. They won't know the first thing about how to approach the problem, what the problem is or which problem to address first. It will take a lot of time to assess & triage. And even then, they're just going to have to make a wild (and not very educated) guess at what to attack first. A skilled, competent and sure surgeon can do an appendectomy from incision to dressing in two minutes or less. None of the aliens will be skilled, competent or sure as regards human anatomy & physiology. Even if they recognise that the human is damaged, they won't know what to about it. They won't know anything about how much blood loss is too much. They won't know what electrolytes are critical to maintain or what normal lab values are. They won't have sufficient time to map the DNA or determine what is normal and what is abnormal. Sadly, I fear it will take many hours and probably cost the lives of all the severely injured while the well intentioned but utterly unequipped aliens go through heroic measures to save the victims. Time is simply against them all. These aliens will lack all knowledge of human biology, anatomy & physiology. Even with the surface similarities and even with the odds that they will have similar requirements for life (ingestion and utilisation of nutrients, metabolism, expulsion of waste), your devil is in the details. We have a large organ called the liver that does a lot of waste management activity. Naturally, the aliens will also have to manage waste. But what if they have smaller regional organelles spread throughout their bodies, somewhat like lymph nodes, that collect waste? They won't have any idea what that big squishy brown thing is for. And what about all this red fluid? They may not have a large bipartite circulatory system (arterial & venous) like we do. What if they have four relatively easy-going circulatory systems with smaller vessels and no central heart? They'll wonder, what the heck is that thumpity-thump jiggling around in their throaxes where their soul-nest should be? A female on her period? They might wonder why it is the red humour is leaking from this one's pelvic orifice. If the female is bleeding from elsewhere, they may take that to be a sign of injury. Especially if she's got a tampon shoved up there. They might (easily!) mistake that for a first aid device and simply cauterise the whole mess. Sadly, I fear it will take far longer for the aliens to become sufficiently familiar with human normal & abnormal physiology than you'll have for your story will need for it to have a happy ending. Knowledge is simply against them all. This whole scenario, I'm afraid, simply spells doom for the humans and tragedy for the poor distraught aliens! If the injuries are critical enough to make them narratively useful, the victims simply will not have enough time to make survival plausible. If the injuries are not serious enough that their lives are immediately threatened, then the aliens simply will not have enough knowledge to do the job. Most likely outcome: all the humans suffer and die from their injuries. Best possible outcome: only the humans whose injuries were mild survive, but will probably be at least somewhat butchered by the well intentioned aliens. 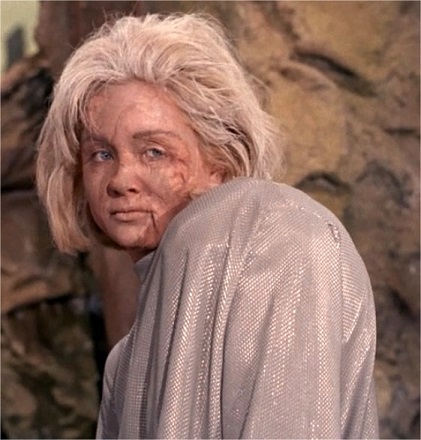 I am reminded very much of poor Vina from Star Trek's original series (The Menagerie). It comes down to how advanced the alien's xenobiology is. One big advantage here: We are talking injuries. It should be fairly clear to the aliens what is damaged and what isn't. Furthermore, the body is symmetric--in most cases the opposite part of the body will be uninjured, the aliens can examine it to figure out how the injured part should go back together. Furthermore, you specified more than one individual. That provides even more options for looking at others to figure out how the part should be. If they have enough experience treating other aliens I would think they could figure out how a human should fit together. The hard part will be keeping them alive and sane during the process. What materials are safe to use as sutures? What are safe to use as anchors (say, for a smashed bone)? Unless they can learn a lot from our DNA anesthesia is out of the question unless they have samples of local anesthetics in their suits/capsule. Likewise, without a very sophisticated analysis of our DNA they won't be able to produce blood or any drugs. Language shouldn't be a problem as long as the universal translator is online. So X just needs to tell the aliens how to access Surgery for Dummies stored in the capsule computer. Actually, a quick search found an almost modern day equivalent in this PDF from the World Health Organization. The key is starting with humanoid, carbon-based life forms. Unlike something radically different, other humanoids will be able to adapt to the necessary techniques and, being carbon-based, some of the key things, like clean water, typical temperature range, etc. will be compatible. The one problem I see is if replacement biological items are needed. Titanium parts for joint repair? They can fabricate those easily enough. Blood? Not so much. In fact, blood is likely to be the biggest problem because if you need it, you usually need it NOW, so waiting a few days for the scientists to figure out a compatible hemoglobin-based solution won't work. But stitches for minor injuries, setting broken bones, even removing an appendix - the aliens can do it. It depends on how similar the aliens are to humans and what kind of technology they have for analyzing the structures and organs of an entirely unknown species. If those aliens have red blood, like humans, they will realize immediately that loosing too much of it is fatal. But if their blood looks and behaves entirely different and their equivalent to puss looks red/brownish like human blood, some baffeled first responder might think they have to remove the liquid before realizing their mistake. If the aliens need oxygen to breathe, they will most likely put the human into a breathable atmosphere to help them. But if the native atmosphere of their home planet contains a gas toxic to humans, that's it. Same problem with water or nutrition. Tiny differences in evolution could have made the aliens resistant to chemicals that are toxic to humans. The chances of accidently killing the human are extremely high. The human's chances of survival increase with the alien's level of technology. If we're talking Star Trek level of scanners and surgical instruments that do all the hard work on their own, the human will most likely survive. But this is more handwaving than realistic approach. Currently, despite all the different medical imaging technologies and our best effords, humans are still better at recognizing organic structures than computers. Now imagine having to operate on a creature whos internal structure is completely unknown to you. Scanners can tell you where bones and blood vessels are, but what about nerves? How would the alien know which structures are save to cut (like the skin or appendix) and which must not be injured (like the heart)? How would the alien know which kind of procedures are safe (like cutting with a scalpel) and which are not (like radiation)? If the human survived an unspecified time floating in their suit, it's a viable assumption they will not die without emergency surgery. 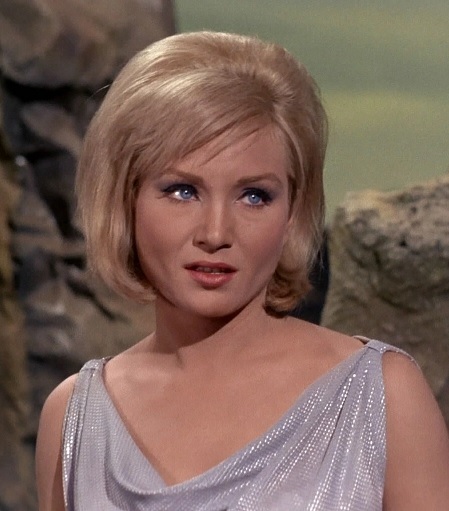 The aliens should offer any help they can, but not take the incentive to start surgery unless they have Star Trek level technology and nothing can go wrong. They should scan and analyze as much as they can, but also communicate with the human as much as they can. Let the human treat themselves. If the human shows clear signs of deterioration, the safest approach would be searching for their ship. Living things in space don't just appear out of nothing, they have to come from somewhere. And floating things in space don't change directions on their own, so the aliens have a good starting point for their search. This is fiction. It is no fun if the aliens fail miserably. If they can recreate the efforts of a human paramedic, that is not that fantastic either. Your aliens need to succeed by unexpected means. They can build machines and they are good at it. They can see your survivor contains some nylon and other synthetics from prior repairs and they deduce that material is safe. She has a partial prosthetic joint from an old accident; they conclude that material is safe. They set about to rebuild anything which does not seem right. In the story, Titus Crow is found mortally wounded by an alien robot, who builds new parts for anything that does not seem to be working right. Crow awakens with a new heart among other things. So too your survivor. Anything the aliens think might not be right has been replaced or augmented. Her bones were all considered to be damaged or inadequately strong, and so have been augmented. Her vision is perfect and she can see two new colors. Her spleen now can contract. But her speech sounds like she is talking into a fan because her diaphragm flutters air into her lung at 10 microbreaths a second - much more efficient for oxygenation; the aliens did not realize that the vocal cords close the airway off from swallowed liquids and phonate as well. You can have a lot of fun with this - aliens who are master technicians and prosthetists, repairing an alien "machine" from first principles. Through the story she will encounter surprises from her own rebuilt body. If there are a few injured humans and we presume their injuries are different (they could be related, like everyone has a broken bone but in a different place) then the humans can help the aliens help them. One human has a slow bleed so the humans that can will mime, point, maybe even search the aliens' medical bay. Perhaps they can draw a picture (don't all astronauts carry paper and a pencil? I'm serious, I think that's standard in case com systems don't work while on spacewalks). The humans don't understand the alien medical system or supplies but together with the aliens, they can figure out what they need to stop the bleeding. Next they can help the human with a broken leg. They can draw pictures of bones and indicate that the aliens have to help reset it so it's aligned properly again. Then work with the aliens to get a cast made. If someone needs surgery or medication to survive, they're probably out of luck. Though it might be possible if it is further down the road and the other humans are in better shape and can help. That will be very difficult though. A successful Western procedure is almost certainly not going to happen. Our procedures are based on countless decades of careful study and experimentation. If you want to get a sense of what works and what doesn't, look at how we test things on animals before moving to humans. We do plenty of tests on pigs beacuse pigs have a tendency to behave rather human-like in response to surgeries and many drugs. Even so, we are constantly surprised by how a surgery or drug goes, even after successful animal testing. However, an Eastern approach might have more luck. Eastern medicine is more about trying to free impingements in the body so that the body can take care of itself. These pracitces are based less in the rigor of a thousand person clinical trial, and more based on what patterns appear and what the body appears to need at the moment. Many patterns are tremendously basic and shared through all of nature. It would not be unreasonble to theorize that there are patterns which cross xenobiologies. For example, while the precise mechanics of vasoconstriction around a wound may involve dozens of very human hormones to get it right, the fundamental pattern of keeping fluids in is going to be shared among many races. The way muscles pull on tendons and bones is based in geometry, so nearly every creature with a physical body will have some similarity in that respect. These are small victories in some forms of medicine, but they are fundamental building blocks for others. Just remember, they don't need to write a surgical procedure to be applied on all humans. That requires more human experience than they have. All they need is to look at this body and make it healthy. I think it depends on what kind of biological/medical knowledge X has, how well X can communicate with the aliens, and luck. Since X is capable of successfully initiating first contact, it seems like communication is possible to some degree. Even a high school overview of terrestrial biology should save alien xenobiologists a lot of time. The space suit contains an emergency pack with first aid supplies, instructions, and fine print. X is one of the doctors on the ship. The aliens have advanced AI or superintelligence capable of quickly reducing the language barrier and extrapolating whatever information X provides. X has the kind of injuries that don't kill them before the cure is found, or the aliens are capable of safely freezing them. The aliens have a copy machine that can be used to clone X for samples and trial/error. It only depends on alien intelligence and technology for scanning and examining the bodies. The human body (like any other animal's body) is a self-sustaining machine, the parts have functions, and we have discovered their functions by dissection, chemical analysis, and common sense. A sufficiently advanced scanning and computational AI can, by logic, understand how this foreign machine works, what is important, how it's healing and nutrition systems work, how respiration and heartbeat work, what has been broken and how to repair it. Especially so because the person is alive and all those systems are functioning. If it is a quantum AI, it should be able to do this accurately in a few seconds. Just like a normal human could figure out how a tricycle works just by examining it, or with some chemical and electrical knowledge examining a running car, eventually understand all the parts and functions using technology that allows them to film any part in action and slow it down. In the same way, the AI won't need any more than the one example, and the medicine it prescribes and procedures it performs will be personalized to the chemistry, DNA, immune system and precise nature of that one human, because it understands 100% of that particular human and will devise all this on the fly, avoiding any allergies or sensitivities. Heck, if the patient was suffering from some prior illness, they might wake up cured from it, in the bargain. That's one limit. At the other limit, the aliens have no idea what to do and would try to treat the human as they'd treat themselves, like most humans would not know how to help an injured dolphin, elephant or gorilla, and might be afraid to even try. If you are specifically talking about decompression injuries then the alien's best bet is to realise or assume that we breath oxygen and provide life support while the damaged lungs recover. This isn't really surgery, but surgery isn't going to make much difference either way. OTOH maybe we are talking about injured survivors who made it to an escape capsule and are now trying not to bleed to death. Any organic alien will have some kind of circulatory system, so it should be obvious to them that uncontrolled loss of body fluids due to an injury is a bad thing. Hence they will try to repair the injury or in some way stop the bleeding. Provided they don't use adhesives that are poisonous to humans they are likely to be successful. For serious internal injuries such as a ruptured spleen the odds of them figuring it out in time are very low. 11 What would benevolent aliens look like for first contact? 2 What really would happen if we came in contact with aliens? 69 Could aliens colonize Earth without realizing humans are people too? 3 How would first contact be with “post-organic” aliens? 64 Why Would Aliens Enslave Humans? 2 Would Aliens Look Like Humans, or Totally Different? 1 What about humans would scare aliens? "here and there was a tent" VS "here and there were tents"
Why did Slughorn stop teaching? A simple finite combinatorial sum I found, that seems to work, would have good reasons to work, but I can't find in the literature.